"If you're gunna catch Dom, you're gunna need a little help." One month to go. Universal has revealed a second trailer for The Fate of the Furious, or Fast & Furious 8, directed by F. Gary Gray (of Straight Outta Compton most recently). After the massive success of Furious 7 in 2015, this franchise continues to roll with Vin Diesel at the wheel. Also starring Dwayne Johnson, Jason Statham, Scott Eastwood, Lucas Black, Jordana Brewster, Michelle Rodriguez, Elsa Pataky, Nathalie Emmanuel, Kurt Russell, Tyrese Gibson, Ludacris, plus two newcomers: Helen Mirren, and Charlize Theron as the seductive "Cipher". I'm still not really into this series. After the last one I expect them to be cheesy, but this is just crazy. The ice scene makes me think of Die Another Day, and that's not a good thing. Enjoy anyway. You can still watch the first official trailer for The Fate of the Furious here, or the Super Bowl spot here. Now that Dom and Letty are on their honeymoon and Brian and Mia have retired from the game—and the rest of the crew has been exonerated—the globetrotting team has found a semblance of a normal life. But when a mysterious woman (Charlize Theron) seduces Dom into the world of crime he can’t seem to escape and a betrayal of those closest to him, they will face trials that will test them as never before. From the shores of Cuba and the streets of New York City to the icy plains off the arctic Barents Sea, our elite force will crisscross the globe to stop an anarchist from unleashing chaos on the world’s stage… and to bring home the man who made them a family. 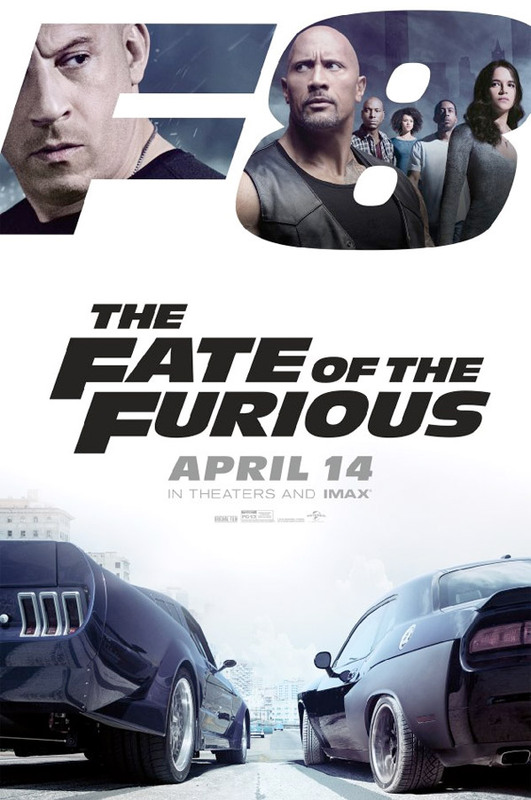 The Fate of the Furious (Fast 8) is directed by filmmaker F. Gary Gray, of the films Friday, The Negotiator, A Man Apart, The Italian Job, Be Cool, Law Abiding Citizen and Straight Outta Compton previously. The screenplay is once again written by Chris Morgan. Universal will open The Fate of the Furious in theaters everywhere on April 14th, 2017 just before the summer kicks off.